Qualifications 11am - 3:30pm on 5 Machines. 8 chances for $20. No extra buy-in's. 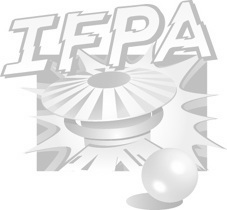 16 Player A division and 8 Player B Division (Cannot play in B division if ranked in the overall IFPA/WPPR top 500). Qualified players are seeded into a 4 player group. This group will play two 4 player games and are awarded ranking points for their finishing position after each game. 1st = 7 pts. 2nd = 5 pts. 3rd = 3 pts. 4th = 1 pt. Ranking points are added up and the top two players advance to the winners bracket. The bottom two players advance to the losers bracket and are eliminated after their second loss. If there is a tie, the tied players play a one game playoff. 100% payout and IFPA/WPPR points for qualification position and A Division.